Andy Mitchell is the Founder, CEO and Managing Partner of Lantern Capital Partners. Mr. Mitchell brings over twenty years of investment management, financial advisory, capital markets and restructuring experience. His professional investment and advisory experience includes Cerberus Capital Management, Centerbridge Partners, Ally Financial’s Global Special Assets Group, Houlihan Lokey’s and PricewaterhouseCoopers’ restructuring groups. He serves on several boards including, among others, American Zinc Recycling (specialty zinc business), Goodbulk, Ltd (shipping and transportation), Lantern Entertainment (media and entertainment) and Bluejack National (hospitality). Prior to joining Lantern, Mr. Mitchell led Ally Financial’s Global Special Assets Group (SAG) and served as President of the Business Capital Group, where he led the turnaround and management of non-performing portfolios in the United States, Canada, Mexico and the United Kingdom. During Mr. Mitchell’s tenure, these divisions managed more than 300 investments including approximately $5 billion of debt and equity positions. As part of Ally’s transformation to a bank holding company, Mr. Mitchell led the creation of the SAG and policies related to the management of special assets and watch-list credits. He also chaired Ally’s SAG Investment Committee and worked with the Federal Reserve and other regulators on related compliance issues. Mr. Mitchell joined Ally from Cerberus Capital Management where he focused on originating and managing distressed or opportunistic investments across the entire capital structure, including both debt and equity. He also worked for the financial restructuring group of Houlihan Lokey and PricewaterhouseCoopers as financial and operations advisor (including interim management) to middle market companies both in and out of court. Mr. Mitchell has led and assisted in numerous major and middle market transactions across a variety of industries including: complex restructurings, recapitalizations, private placements, distressed mergers and acquisitions and valuations of distressed and healthy companies. He has been a speaker on restructuring topics at several conferences and universities and is a member of the Turnaround Management Association. Mr. Mitchell has a bachelor’s degree in business administration with a double major in finance and accounting from TCU. He lives with his wife Kristin and four children in Dallas, Texas. Milos Brajovic provides over 20 years of investment management, investment banking and restructuring experience. He was previously the founder of Noster Credit, a special situations investor. Prior to launching Noster, Mr. Brajovic was a Senior Portfolio Manager and investment committee member at European Credit Management, a $15 billion fund focused on global fixed income and credit. He was also a partner at Glencore International, where he founded and managed the firm’s proprietary trading desk. Mr. Brajovic was one of the formative employees in Houlihan Lokey’s Financial Restructuring Group and led many unique and marquee deals in the United States and established Houlihan’s European practice. He currently sits on the Board of Overseers of New York University’s Stern School of Business, where he earned a bachelor’s degree in finance and master’s degree in business administration with highest distinctions. Mr. Brajovic holds a post graduate master’s degree with London School of Economics. Tom Schmidt is a Partner at Lantern, bringing extensive investment experience and credit market knowledge to the firm. 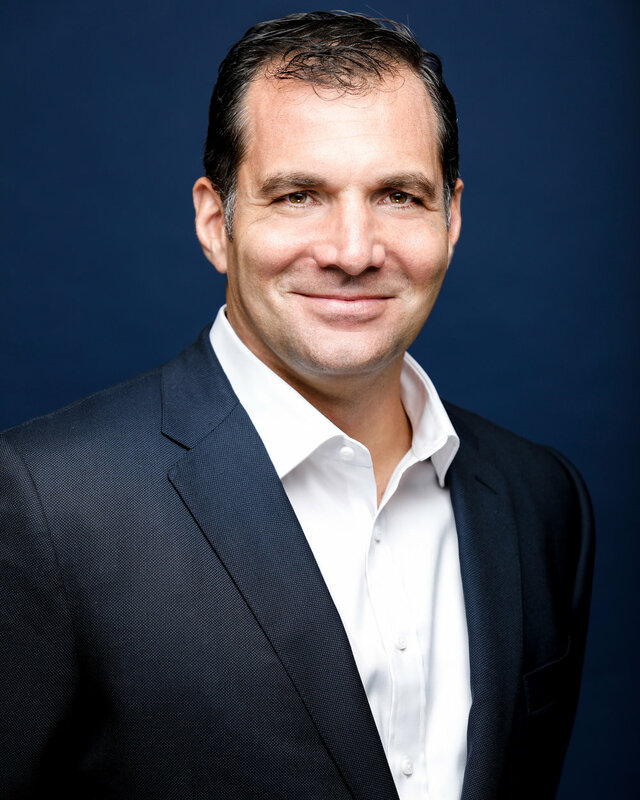 Prior to joining Lantern, in 2001 Mr. Schmidt founded Providence Capital, a boutique alternative asset management firm focused on managing credit and deep value strategies, where he served as Chief Executive Officer and Chief Investment Officer. Prior to founding Providence Capital, Mr. Schmidt was a fund manager in the Value Investing Group at EBF & Associates, a multi-billion dollar asset management firm. Before joining EBF in 1997, Mr. Schmidt was the Associate General Counsel and the Head of Business Development for CDI & Associates, headquartered in St. Louis Park, Minnesota. Prior to joining CDI & Associates, Mr. Schmidt was an associate with Willian, Brinks, Olds, Hofer, Gilson & Lione in Chicago, Illinois. Mr. Schmidt focused on litigation of intellectual property claims for a variety of fortune 100 companies and leading academic institutions. Mr. Schmidt received a juris doctorate from Wake Forest University and has a bachelor’s degree in political science from Wheaton College, where he was also a member of the 1984 NCAA Division III National Championship soccer team. Mr. Schmidt also attended the United States Air Force Academy. William Srinivasan oversees Lantern’s existing investment portfolio and the identification and evaluation of new opportunities. Prior to joining Lantern in 2011, Mr. Srinivasan was a Vice President and asset manager with Spear Street Capital, an investment firm that invests its fully discretionary private equity funds in value-add/opportunistic properties throughout the United States. While at Spear Street, he managed existing investments and sourced new opportunities throughout the major markets in the eastern half of the United States — from New York to Texas. Previous to Spear Street Capital, Mr. Srinivasan spent four years with Goldman Sachs managing investments in the Real Estate Principal Investment Area (REPIA) within the firm’s Merchant Banking Division. His expertise spans numerous real estate product types, including office, retail, mixed-use and hospitality as well as asset valuation, underwriting, due diligence and fund-level economics. Before Goldman Sachs, Mr. Srinivasan was a consultant within the Financial Advisory Services group of PricewaterhouseCoopers. Mr. Srinivasan received a bachelor’s degree in business administration in finance, from the University of Texas at Austin, as well as a master’s degree in business administration in finance and real estate from Columbia Business School. He currently sits on a variety of joint venture and HOA boards and is an active member of the Urban Land Institute. Chris Halpin is the Chief Financial Officer of Lantern Capital Partners and Lantern Asset Management. Mr. Halpin is responsible for all aspects of the finance function for Lantern and its investment vehicles. Mr. Halpin also serves as Lantern’s Chief Compliance Officer. Prior to Lantern, Mr. Halpin was with Highland Capital Management, an alternative investment manager with approximately $40 billion in assets under management that primarily invested in bank loans, high yield credit, distressed debt and private equity. During his tenure with Highland, Mr. Halpin oversaw the finance and accounting aspects of more than $5 billion of hedge and private equity funds and managed the finance function of the asset management company and its European subsidiary. Prior to joining Highland, Mr. Halpin served as the director of accounting and divisional controller of Atlas Air Worldwide Holdings during the company’s emergence from bankruptcy and complete restructuring efforts. Previously, he was with Ernst and Young in its Assurance and Advisory Business Services group in Dallas and New York, where he focused on airline clients AMR Corp., Air China and Atlas Air Worldwide Holdings and other publicly-listed clients. Halpin holds both a bachelor’s and master’s degree in accounting from Texas A&M University.